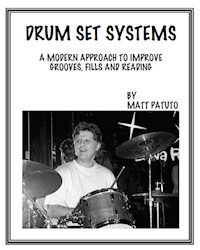 With the release of his book Drum Set Systems, Matt has assembled his proven teaching systems that will inspire both the intermediate student and the advanced player. These systems will give a drummer the knowledge to improve his or her practicing routines to achieve better coordination and reading skills, and to develop a more sophisticated approach to playing grooves, fills, and solos. The Warm Ups and Alignment exercises are designed to challenge coordination and heighten the creative process. A Steady Flow is a system calculated to improve the spacing of 16th notes and triplets. It demonstrates how to orchestrate these notes around the drum set to create fills and solos that relate to the rhythmic structure of the groove. Essential Rhythms provides an introduction to the essential rhythms. Learning how to recognize and hear these rhythms simultaneously will greatly enhance one’s reading ability. Combinations of essential rhythms will create complex rhythms. Applying these rhythms to the drum set will result in a greater understanding of the elements of a groove. The book focuses on a method for practicing each section and then combining the sections to create a more musical style of drumming. 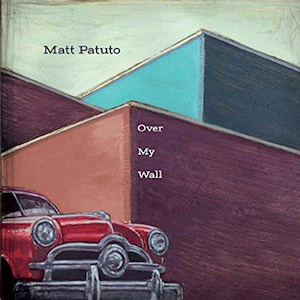 The accompanying CD has 39 tracks that include both demonstrations and play-a-long songs. “I highly recommend Drum Set Systems to the intermediate and even the pro player. The exercises are challenging yet fun to play. Great stuff!